2018 marks the 150th birthday of Scottish architect, designer and artist Charles Rennie Mackintosh. Sitting perfectly alongside Glasgow Museums’ Mackintosh exhibition (March–August 2018), this wonderful wall calendar is a celebration of Mackintosh and his fellow Glasgow artists. 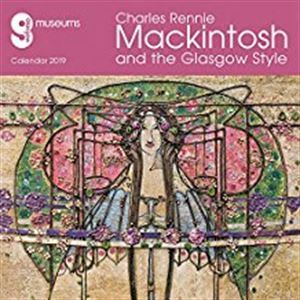 Featuring mystical works and decorative designs by Mackintosh and the Glasgow Four, as well as beautiful portraits and scenes by Bessie MacNicol, Norah Neilson Gray and Ann Macbeth, this calendar showcases Scottish art. Informative text accompanies each work in this art calendar and the datepad features previous and next month’s views.